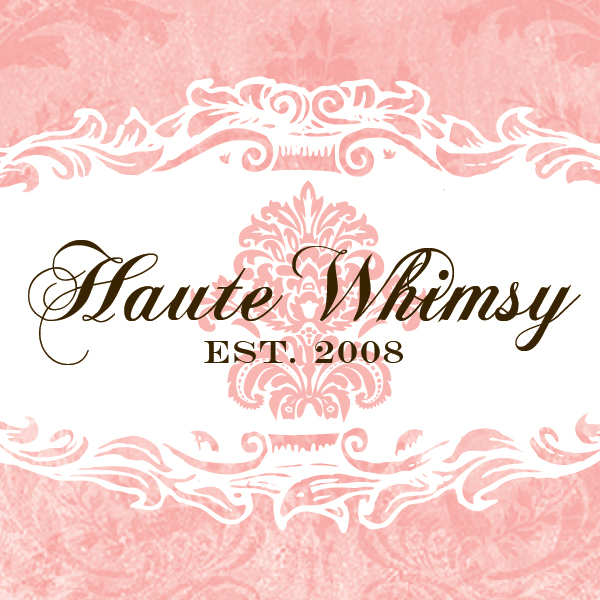 Haute Whimsy: Happy Birthday, Haute Whimsy! October 1, 2008: The launch date of Haute Whimsy. Today: We celebrate 4 beautiful years of whimsy, fashion, capricious adventures, prose and love! It was the first day of my birthday month when I decided to start a blog. I was in a state of flux as I was transitioning from employed to unemployed after a work-related injury. My little world had turned upside down and I thought that a blog would be the perfect brand of therapy while I sought to find myself. I was shocked to find that friends were reading my personal blog, and even more so when I found that strangers were stumbling upon it! That's when I realized that there was a universe surrounding this act of blogging - a blogosphere, as it turns out. This was right around the time when I discovered lomography and launched my Etsy shop. It wasn't long before I was splicing Haute Whimsy and Etsy by highlighting wonderful artists, and from there it wasn't long before I had fellow Etsians asking if they could buy ad space on the blog. I've since had the pleasure of working with numerous photographers, graphic designers, fashion designers, curators, writers and other fanciful artists. They have taught me so much about the coexistence of business and friendship, which I had always believed was a rare combo. Bottom line is that I feel like a very lucky girl and I'm thrilled to see where this next year takes Haute Whimsy! Thank you to every single one of you who has offered support, encouragement and helped make this blog what it is today. Happy Blogiversary! Hope this year is everything the past four have been and more! wow! four years!! that's wonderful!! happy happy blog birthday, jen!! Happy blog birthday, Im so proud of you and all your accomplishments and since today is your real birthday, "Happy Birthday, Jennifer!! Aww, thanks Mom! You're the best!